We get to a point in life when it's way more fun to give than receive. Volunteering for community groups and events is a premier way of giving. After all, ‘tis the season for giving and sharing. 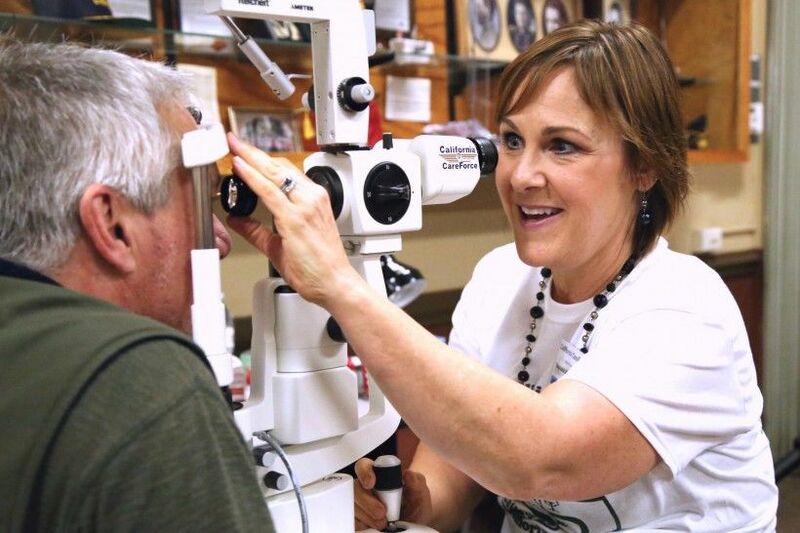 Optometrist Stephanie Kirschbaum volunteered for the free health clinic organized by CareForce at the Veterans Memorial Building in Grass Valley recently. So with the holidays in full force, and many of us still shopping for gifts for our loved ones, I thought I’d share tips on how to give gifts that give back, using what I’m doing this month as examples. Partner with other ODs at an event. A few weeks ago I participated in a memorable volunteer event: California CareForce Clinic came to Nevada County and I worked alongside my colleagues – Dr. Layne Christensen and I (as "local docs"), and several other docs, traveled to Grass Valley to provide free eye care and glasses. It was an impressive organizational feat and a much-needed service. Participating with other CareForce volunteers and feeling the appreciation from each patient was the best way to get in the holiday spirit. I was also fortunate enough to participate in one of VSP's mobile clinics in September, and I'm eager to jump on board another opportunity soon. Join a local Kiwanis. Working with others on projects that benefit the community has always been my way. As a third-generation Kiwanian, I feel fortunate to have learned volunteerism at a very early age. Children and animals are my passion, so Kiwanis helps fulfill my love to help children, especially those less fortunate. This Christmas, my Kiwanis Club is preparing meals for families staying at the Kiwanis Family House (near UCDavis Med Center and Shriner's Hospital in Sacramento), where families stay at no cost while their child is in the hospital. Work with church projects. As a family, we participate in church projects such as shoe boxes full of necessary items for children in Africa, and gifts and meals for families in need. Our favorite family project is buying gifts for the young children of prison inmates who ask our church for help in providing for their kids at Christmastime. We always choose to deliver the gifts ourselves so we can write to the parent about their children’s reactions. The youth director of our church also takes our kids every year at Christmas to serve at "Hospitality House," a local homeless shelter. Start a family tradition that includes giving back. Prior to my Dad's passing, our Christmas gift to him was buying gifts for a family in need, and then taking him with us to deliver the gifts to the children. When a family member or friend's pet passes, we donate in their pet’s name to the Center for Companion Animal Health at UC Davis or ARF (Animal Rescue Foundation). My family also donates stuffed animals to the hospital. Also, my daughter enjoys handing her clothes down to younger girls who we know with parents who can't afford to buy new clothes. Jolie delights in helping others. Give to charity programs through local businesses or schools. One of our local businesses has a clever "12 Days of Giving" and designates a percentage of a day's sales to a different local charity every day. Donating food is a great way to help in our communities as well and bringing old blankets, dog food, and pet toys to the local animal rescue. My kids' school is collecting coats, hats, gloves and socks to donate to Hospitality House this Christmas. Donating to thrift stores of your local charity helps them raise money as well. As I see it, any volunteering you can participate with is a gift you give yourself and your community. Whether through my profession, my church, or my family, I find joy in helping others during these times. There are many ways you can too. Have a wonderful season of sharing. In today’s world it’s becoming difficult to appreciate the things you have. 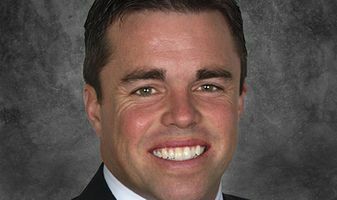 It’s a concern amongst many people to worry, “What ... read more. 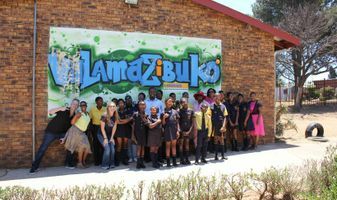 I (far left), along with representatives from VSP, pose with Vula Mazibuko Primary School learners in Soweto, South Africa, who ... read more.